Damn. This is one sad, sad Christmas, if not for my Norwegian host family treating me to a beautiful celebration of Christmas! 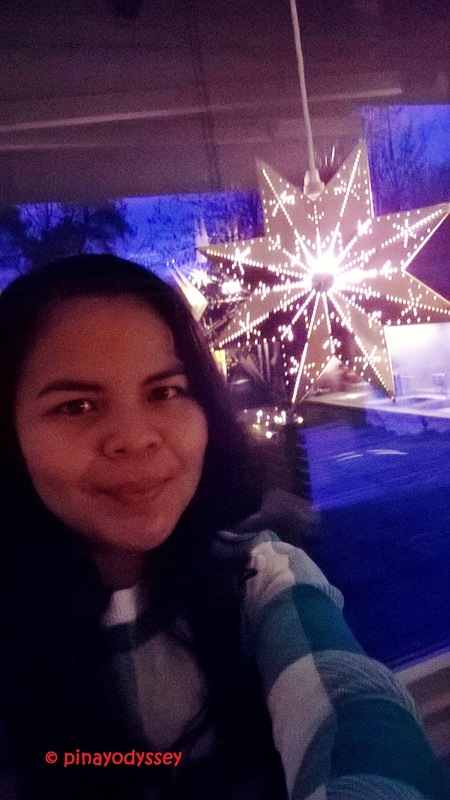 Yes, it’s my first Jul (Christmas) in Norway, and I was very excited to see how different it’s going to be. First on this series of entries is The Decorations. 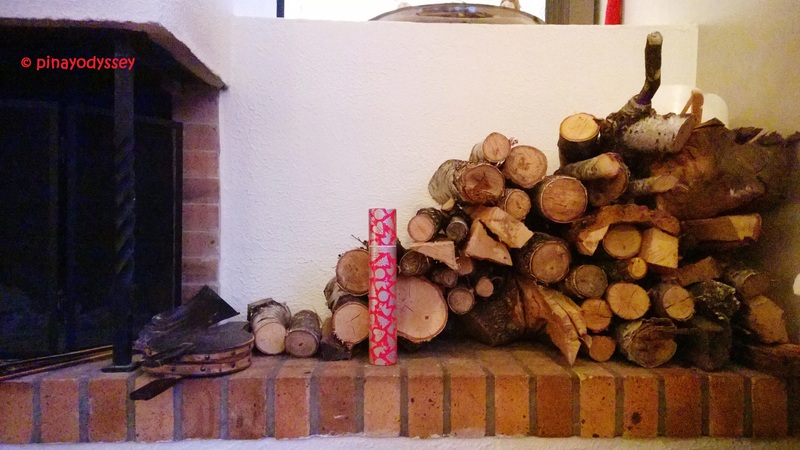 How do the Norwegians decorate their homes prior to Christmas? 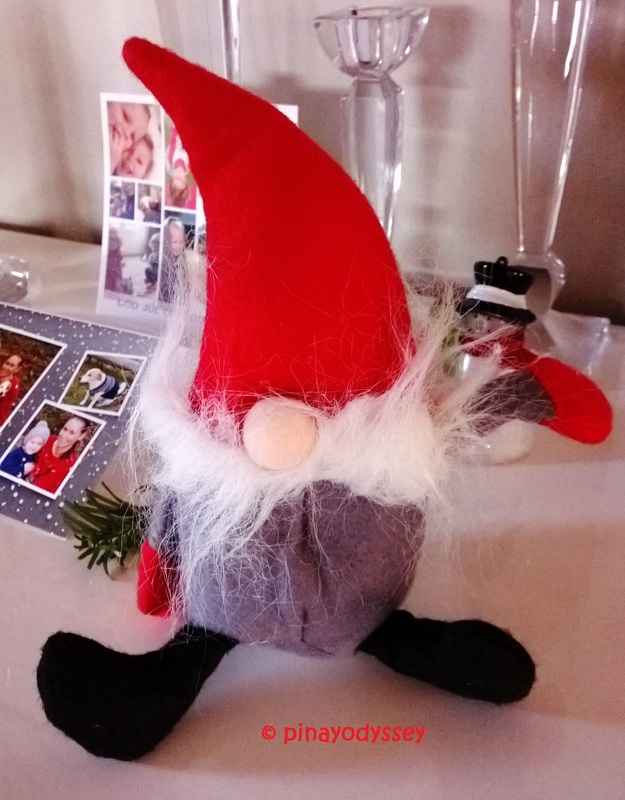 What ornaments or trinkets do they hang all around the house? The Philippines is said to be the country with the longest Christmas celebration. Starting September, the first of the “-ber” months, shopping malls in PH and private homes are decorated with Christmas lights and other glittery and shiny decors. We love colorful lanterns, small and giant ones, and we love Santa and his reindeer standing by the porch or lawn. We also start putting up artificial Christmas trees usually in November, and we start filling the space under with gifts. Christmas songs are played on the radio, and children go from house to house on the traditional Christmas “karoling” (Christmas carols singing). And on December 16, the church bells play beautiful music to entice the people to come to the Simbang Gabi (Dawn Masses) very early in the morning (at 4 am usually). The Dawn Masses last until Christmas, and if you manage to participate in the 9 Masses, you are granted a wish. 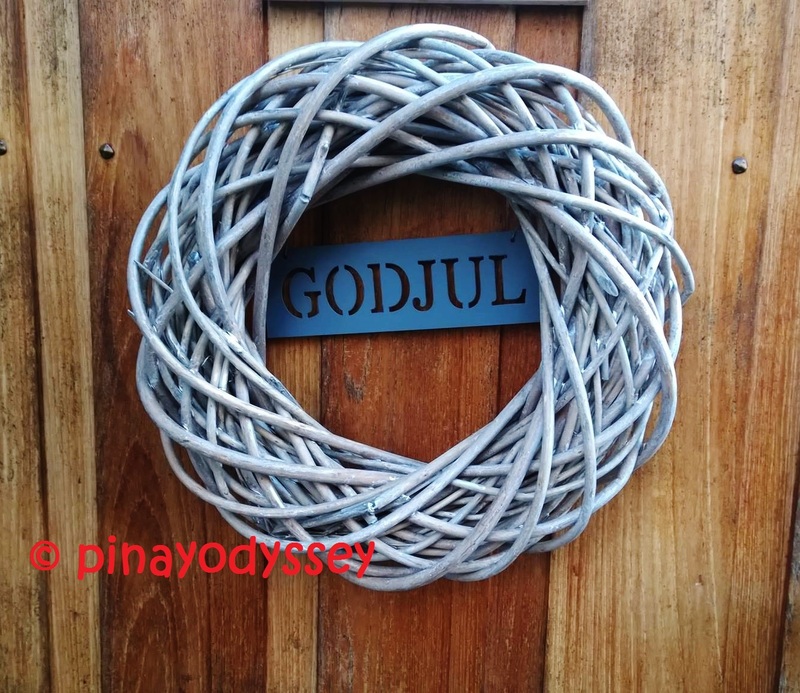 Norway also anticipates the birth of Jesus, but unlike in PH where Christmas is largely a religious feast, Norway sees it more as a cultural celebration. A number of Norwegians go to Den norske kirke (the Norwegian Protestant Church), but a majority of Norwegians prefer to stay at home to relax and spend the holidays with the family. On December 13, when the sun sets the earliest, children dress up in white and commemorate the Day of Sta. Lucia. From then onwards is what they refer to as the Yuletide season. Christmas decors and ornaments are brought out of storage in early December, along with the Adventskalender for the children. 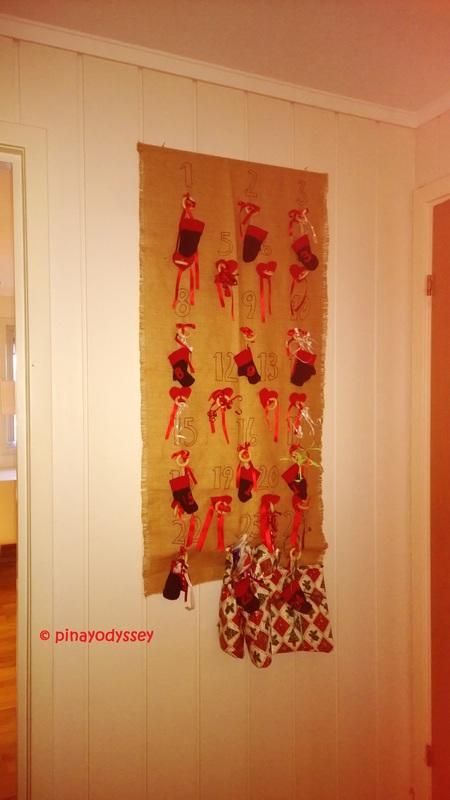 The adventskalender is a common tradition in Europe, not just in Scandinavia. Now, wouldn’t you like to have spent your childhood in Norway? 😉 The Christmas countdown can also be done with candles with number printed on them, or boxes with a piece of chocolate for each day. I like spreading love with the adventskalender, but somehow, seeing it also makes me sad. There are hundreds of children in other parts of the world who don’t get a single gift on Christmas. Norway loves its nature and farm traditions. 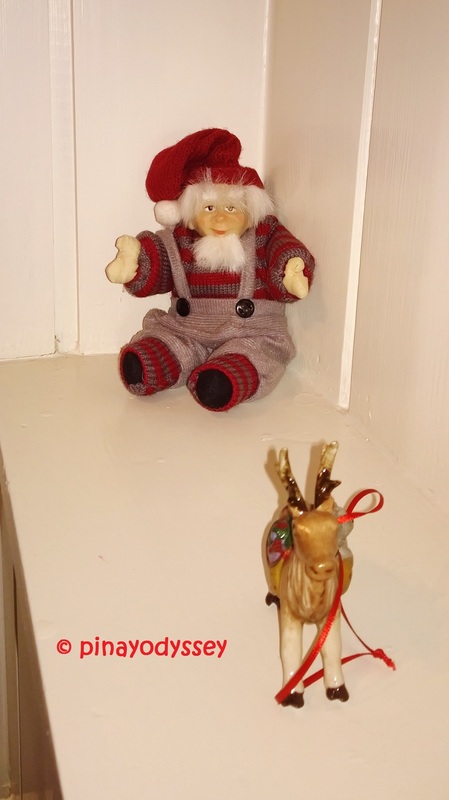 Most of the Christmas decors you will find in a Norwegian home are influenced by myths and fairy tales with barns and farms and woods as the setting. 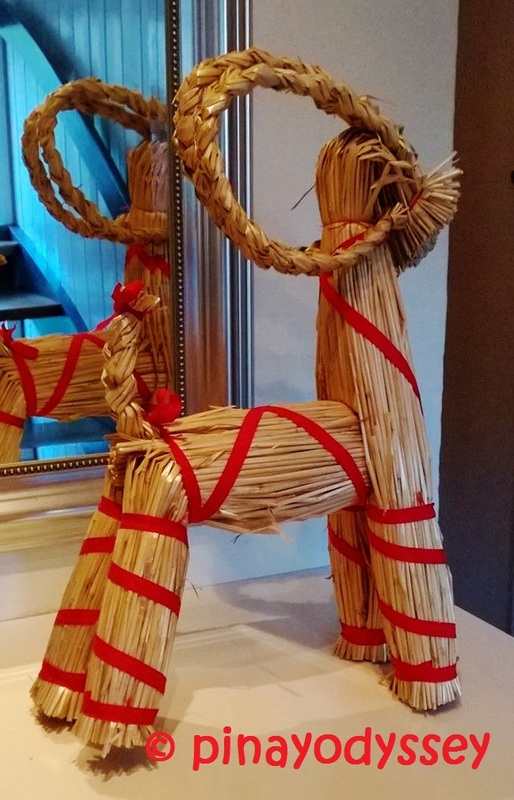 Decors made with straw are famous, and animals found in the cold north are usually the subject. 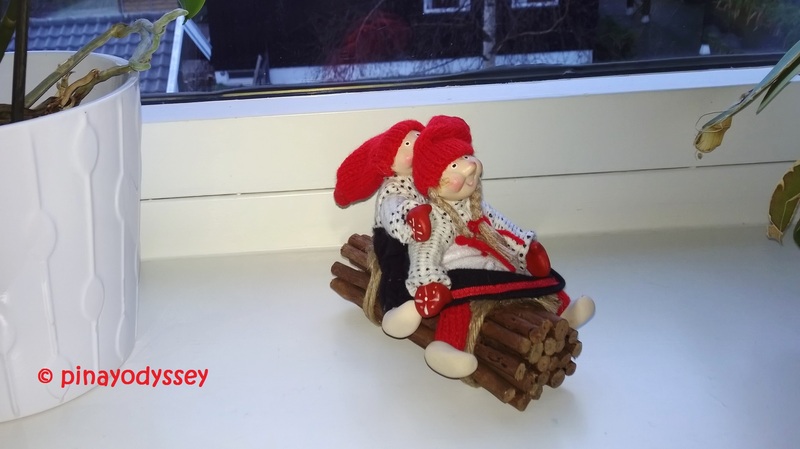 If you have lived somewhere in Scandinavia, you would probably have heard or known the story of the Julenisse (Christmas fairy). 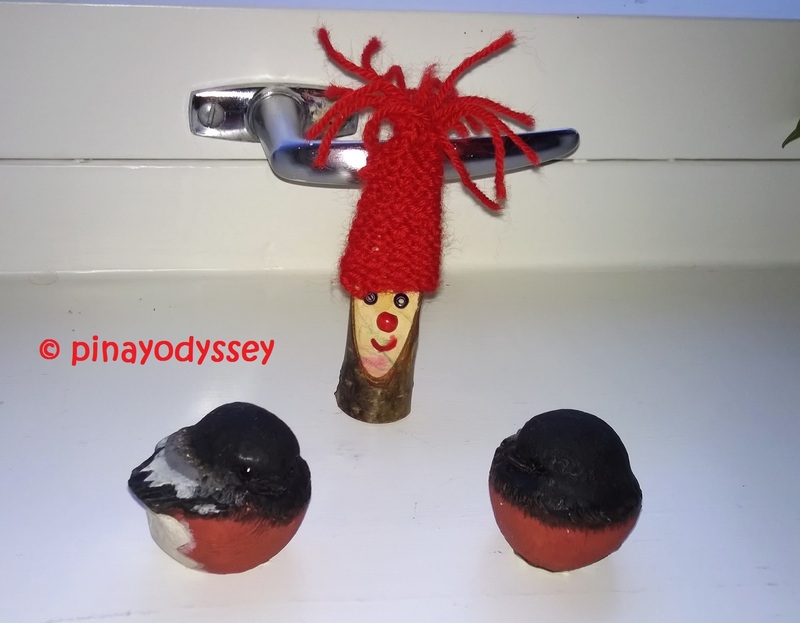 They were first evil creatures who later became the naughty elves or pixies guarding the farmy animals. You have to feed them on the night before Christmas! Otherwise, they will cause havoc to your farm and to your animals. 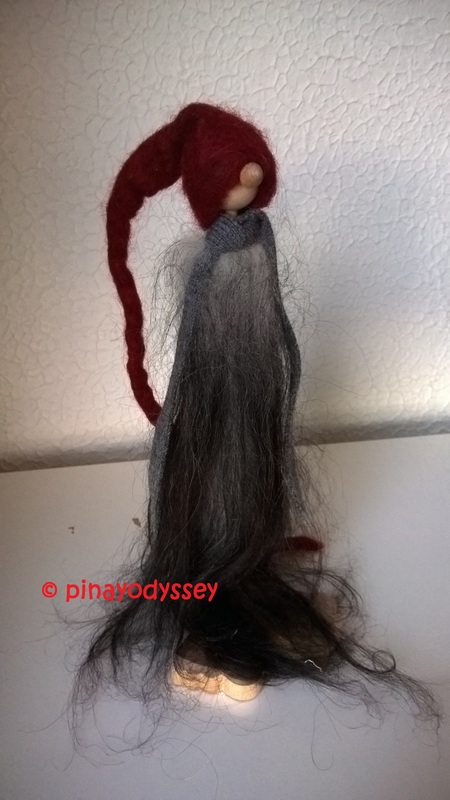 It’s pretty similar to the magic elves or duende in Philippine folklore. The duendes live in anthills, and are kind to those who are kind to them, but mischievous to those who are cruel to them. 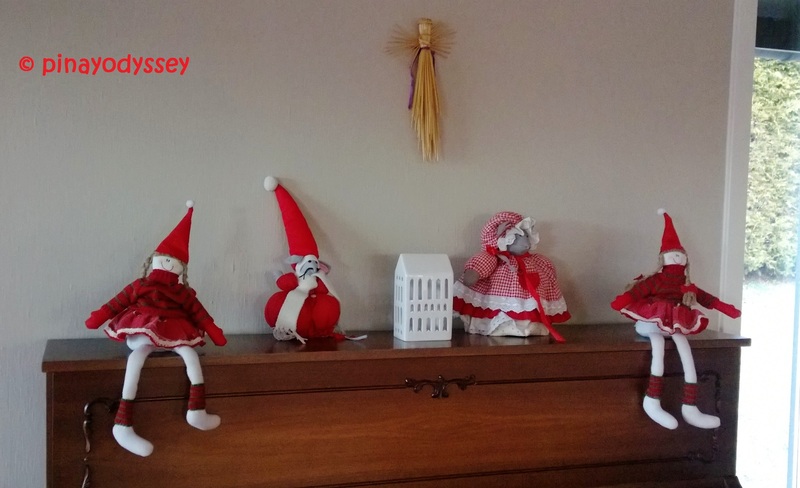 In modern times, the Julenisse is associated with the Christian saint, Nicholas, or Santa Claus. 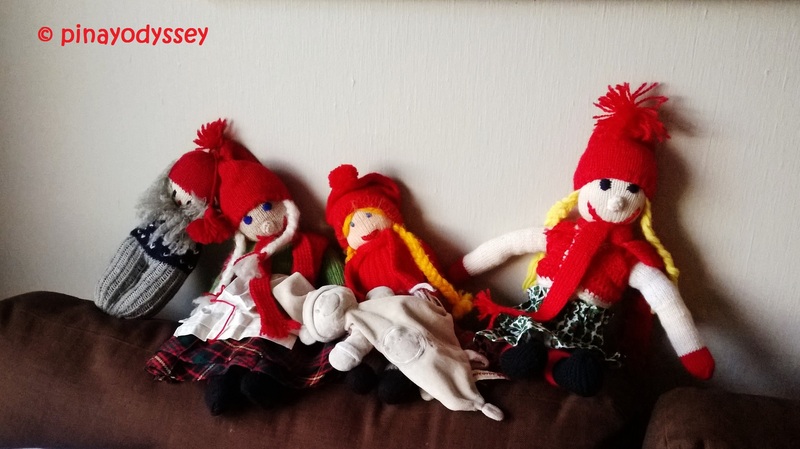 The julenisse varies in outfit and appearance, and you’ll find them in all corners of the house. Lanterns are also present in Norway, but they are usually placed inside the house. Together with pepperkaker (gingerbread), they make the windows more fun to look at! And of course, the tree. 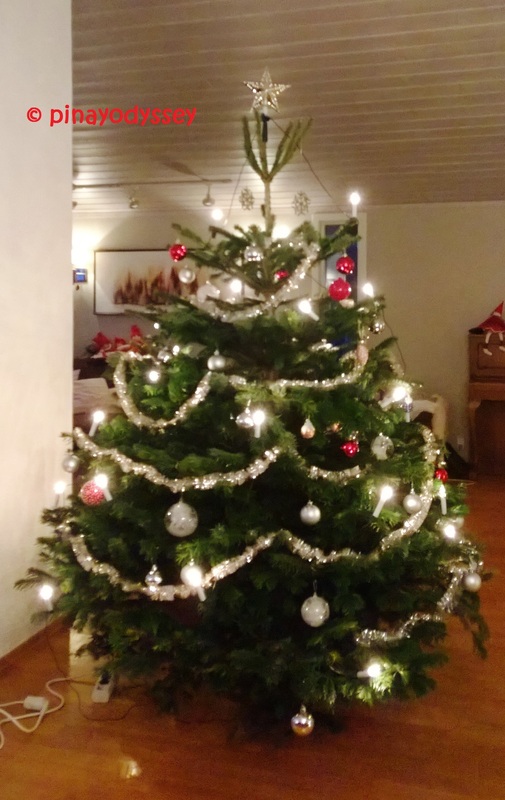 If in PH, Christmas trees are artificial, here in Norway, they’re fresh and real! They are not put up before a week or a couple of days to Christmas. How creative. I wanted to experience spending Christmas outside Philippines too. The snow, and all. My sister is in Sweden this Christmas and last year. A little jealous but nothing beats Christmas at home. I would love to experience a Norwegian Christmas. I miss snow and cold weather. 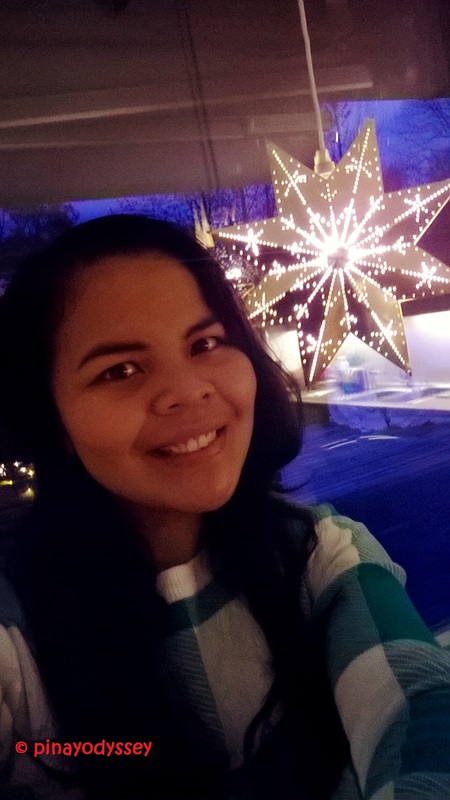 I think I’m just about over extremely long Christmas season here in the Philippines, hehe. Lucky you get to spend christmas in Norway. Wow, fresh and real tree, I think I would love to experience that. I never had, always had the artificial ones. It’s really nice to spend christmas elsewhere too. Someday, I hope to be able to spend mine in Norway too. It must be so fun! I never been to Norway, but hope to travel there one day. 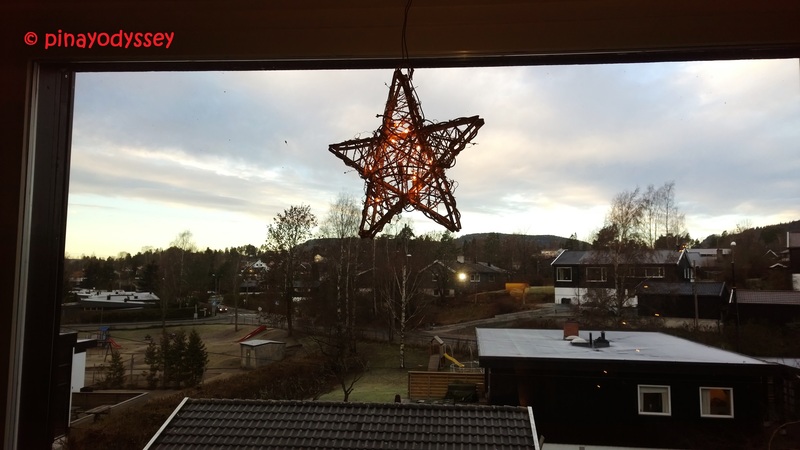 Wow… Thanks for the indepth post on the Norwegian Christmas. 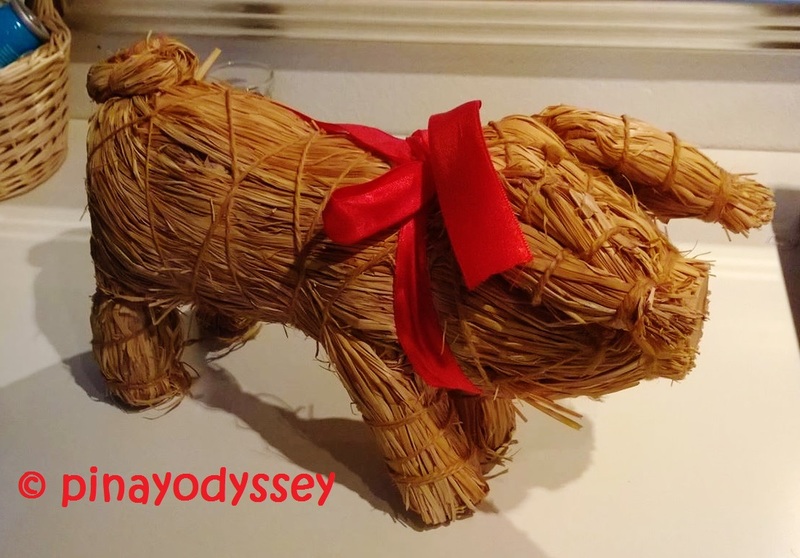 Those farm animals made of straw is very very creative and gorgeous. I should also say, the evil fairy also look very creative! Merry Christmas & Happy New Year to you!!! Is that why the kids there are happier? I want my kids to grow up in the environment where they believe elves and fairies and Santa! Because I believe this will help them in their creativity! I agree with you, Tiffany! I wish all children in the world a Norwegian Christmas experience..
It’s so cool that you have real and fresh Christmas trees. 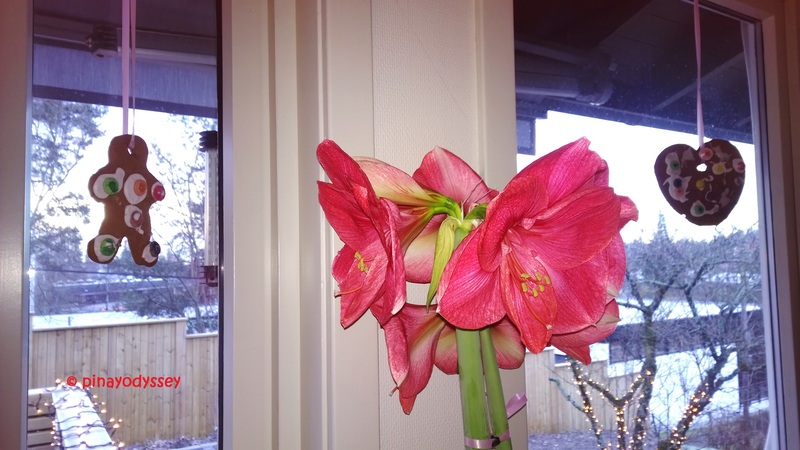 It not only brings in the mood of Christmas but the scent as well. It’s nice to see a different type of culture when it comes to Christmas. This was such an interesting read. I like how the decors are similar to what we have but at the same time different. I am considering spending Christmas in a different country next year but I’m not sure if I can. Lol. I’m going to read more about the Julenisse – it’s something new to me. This was such an interesting read. I like how the decors are similar to what we have but at the same time different. I am considering spending Christmas in a different country next year but I’m not sure if I can. Lol. I’m going to read more about the Julenisse. It’s not all out, but at least they have decorations, hehe. It’s really nice to celebrate at home, nothing would ever beat that feeling, I hope next Christmas would be different for you! We don’t have new decorations and just keep our old Christmas decors all year ’round. 🙂 The Julenisse indeed looks scary because I can’t see its eyes and I can imagine that they’re grim. So lucky to be able to spend your Christmas in Norway. Thanks for sharing the story of the Julenisse. it’s fun to know that different corners of the world celebrate the same festive seasons slightly differently! those julenisse actually looks adorable. heh!